I have obviously DIY projects on the brain! It’s 2am in France and I’m still up, blogging about some jars…err hello!! 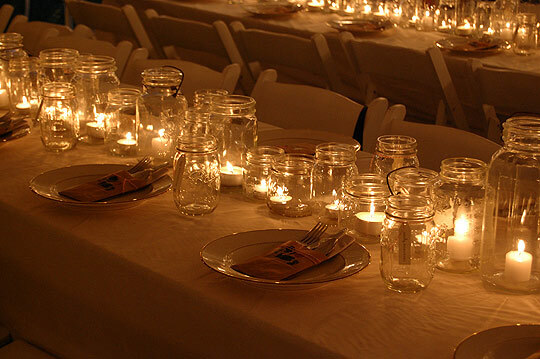 Well, I couldn’t help sharing this lovely idea….I’m looking at these gorgeous jars and I’m thinking casual al fresco parties with my friends, romantic diners with Steve on our terrace or even weddings like Ben and Chelle did it for their wedding. Alternatively, you can also use the beautiful Cap-Ferret tea-lights and hurricane lamps currently at 20% OFF in the Summer Sale. My next DIY challenge is…. Our tree house in the making…. Next PostThe new BODIE and FOU gift card….